We hope you asked your family and friends for a new bookshelf this past Christmas, because as of this month, a number of hot new book releases are hitting the stores. Although many of us prefer a good read by the beach while on vacation, cozying up on the couch with a cup of tea next to the fireplace is the next best thing. What better way to fight the winter cold than to hibernate with a stack of books? It’s officially the perfect time of year to become a bookworm – no one will judge you if you don’t resurface until Spring. All that’s required is a quiet corner, a fleece blanket and a tasty snack! Whether you’re into fairytale romance, heart-pounding mystery or something in between, there’s a story for every reader to dive into. Released in the first weeks of January, Chloe Benjamin’s The Immortalists is said to be a captivating family saga. This novel takes readers to Manhattan, New York where the Gold children—four adolescents seeking self-awareness—visit a psychic. Upon hearing their fortunes, they learn the exact date each of them will die. As this information becomes impossible to ignore, the siblings use their prophecies as a guide for the next five decades. The Immortalists deals with the fine line between destiny and choice, life and death and this world and the next, all within a telling story of strong familial bonds. Fresh off the press this past week, Leslie Cohen’s This Love Story Will Self-Destruct is a classic tale of boy meets girl with a twist. Eve is dreamer, a feeler and a carefree, quirky soul. Meanwhile, as an engineer, Ben is a lover of order, structure and straight lines. Naturally, when the two first meet there are no instant fireworks. It’s not until they cross paths again and again that a deep yet fragile connection starts to form. Realistic at heart, This Love Story Will Self-Destruct offers a breath of fresh air from sappy love at first sight romantic comedies. 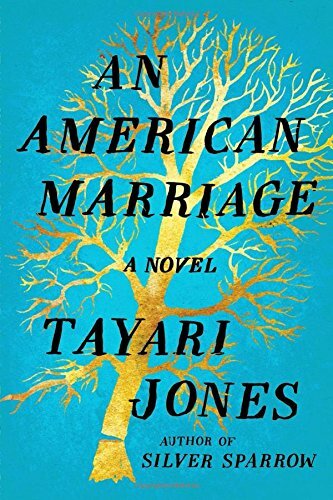 Expected to hit the shelves this coming week, Tayari Jones’ highly anticipated An American Marriage is a celebration of the American Dream, that is, until newlyweds Celestial and Roy are forced to face unexpected and life changing circumstances. As a young executive and artist on the edge of thrilling careers, Celestial and Roy seem to have a world of possibilities ahead of them. Just as they are settling into their new life together, Roy is arrested and sentenced to 12 years in prison for a crime he didn’t commit. When his conviction is suddenly overturned five years later, Roy is ready to return home and resume life with Celestial. But, has she moved on? An American Marriage is the ultimate test of love, time and institutional union. A real nail-bitter, Louisa Luna’s most recent novel Two Girls Down follows the story of single mother Jamie whose two daughters go missing in a strip mall parking lot. Based in a small Pennsylvania town, the shattered mother hires a hardheaded bounty hunter, Alice, to find the girls. When shut out from the local police force, Alice partners up with a disgraced former cop, Max, who is desperately trying to forget his past. Tangled in a web of dangerous lies, false leads and complex relationships, Alice and Max must go to extreme lengths to find the girls before they are gone forever. Claimed to be full of relentless suspense from open to close, Two Girls Down is a must-read for admirers of strong female protagonists.